All too often crowdfunding companies hit the headlines for the wrong reasons, but Pulse Play is a different story. 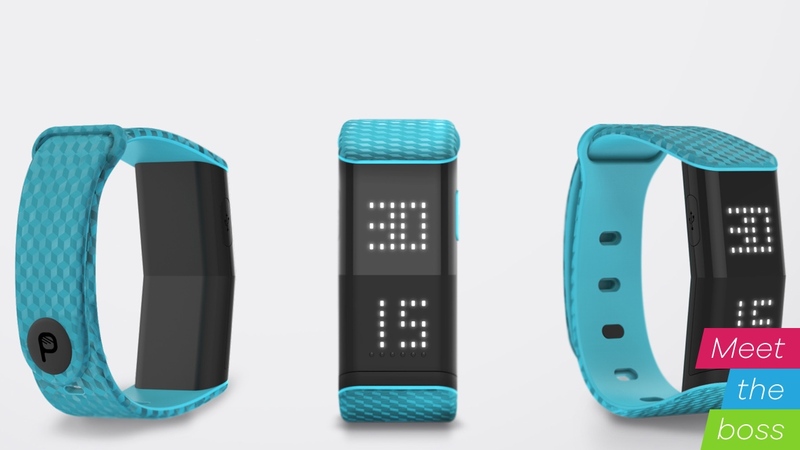 The tennis tracking wearable, which was successfully backed by 600+ backers last year, has finished shipping to backers more or less on time, and is now looking to add new features to the product, leveraging dormant sensors inside the watch. "I know some companies that raised the money and did not provide the product. We have and everyone on Indiegogo is happy – that was a big important goal for me." "If I learned something, you're never finished with fundraising. All the time you raise money and you work on raising more. Our goal is to go to the next level now, and we need investors to produce more watches," he said. "The crowdfunding helps with the marketing, we received a lot of marketing value from the campaign. But the money wasn't enough to create this wearable – a lot of companies make the mistake and think that the campaign will provide enough to make the product but it's not enough. "From lawyers to the video, the people to make it. You spend the money so quickly. Luckily we managed to raise more money. But it's a great platform to get people to know you – I'd recommend it," he added. And Pulse Play is taking a refreshing approach to its product roadmap. It's not over-reached, and focused on delivering the basics on time. But that doesn't mean it's not ambitious. Ram revealed Pulse Play has all the sensors inside to track activity, exercise on court and sleep – and it's looking for funding to bring these to fruition. "All these features are inside the watch, we just need to activate them. So we need more money for those people to come in and work. Steps on court and how well you sleep at night. The sensors are in the watch just not activated. "We're about to produce 10,000 watches and we might need more, hopefully. Then we will have more and more money to make the next version, which will look at steps on the court," Ram said. While that's further along in Pulse Play's roadmap, Ram said that new features are imminent. The first addressed the problem that the original design for Pulse Play required both players to have a watch. That was unrealistic and it's just about to go live with an update that means a single user can score any type of tennis match. "At the beginning we thought that both players would need a watch, but now we have developed that one watch you will be able to play with just one watch on court. There are two buttons one for my scoring and one for opponent scoring. A lot of people on Indiegogo just bought one, so this will help create a lot more matches." "We're already working on Pulse Play 2, which will come with heart rate to show how many calories you burn."